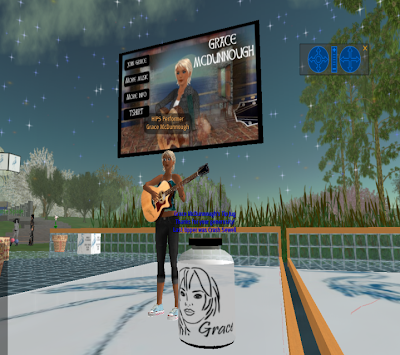 Last night I attended two live performances in Second Life. The shows were at the Heron Island Performance Space (HIPS). I'd gone in-world to hear Grace McDunnough. She is a talented artist, and also has a wonderful blog with some excellent commentary about Second Life: Phasing Grace. Tonight I will be attending Writer's Night at the Bluebird Cafe. I like the Bluebird venue a lot. 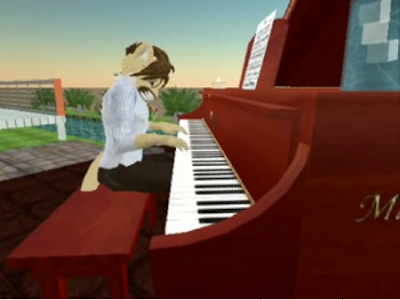 They stream video into Second Life directly from the Bluebird and it works extremely well. I prefer the live video to the animated avatars with streaming audio. There have been several articles of late about people coming into Second Life, not finding anything of interest and leaving. Might I recommend you take in some live performances. You won't be disappointed.